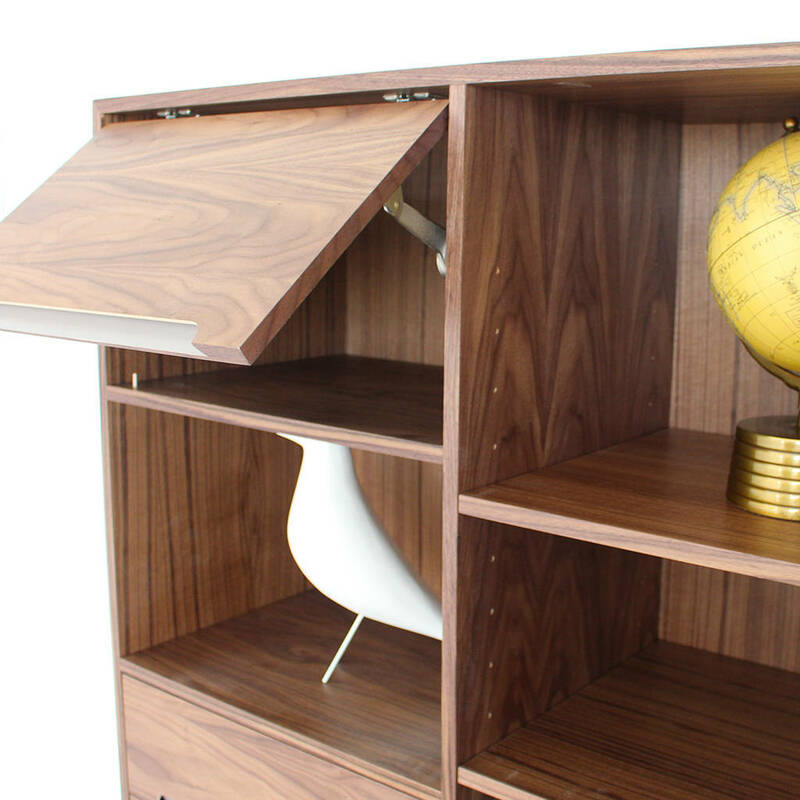 This unique bookcase was designed with a vintage Danish feel and would suit any contemporary home or office interior. 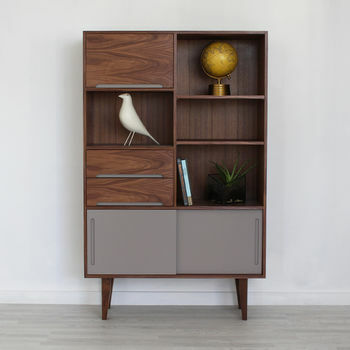 Edgeware Walnut Bookcase is 100% British made to order, carefully hand crafted here in the heart of England. This unit includes: 2 large draws, 4 solid oak legs, a six bottle removeable wine rack, adjustable shelves, 2 sliding doors and a door with a stay to keep it open. This piece is delivered fully assembled to you. 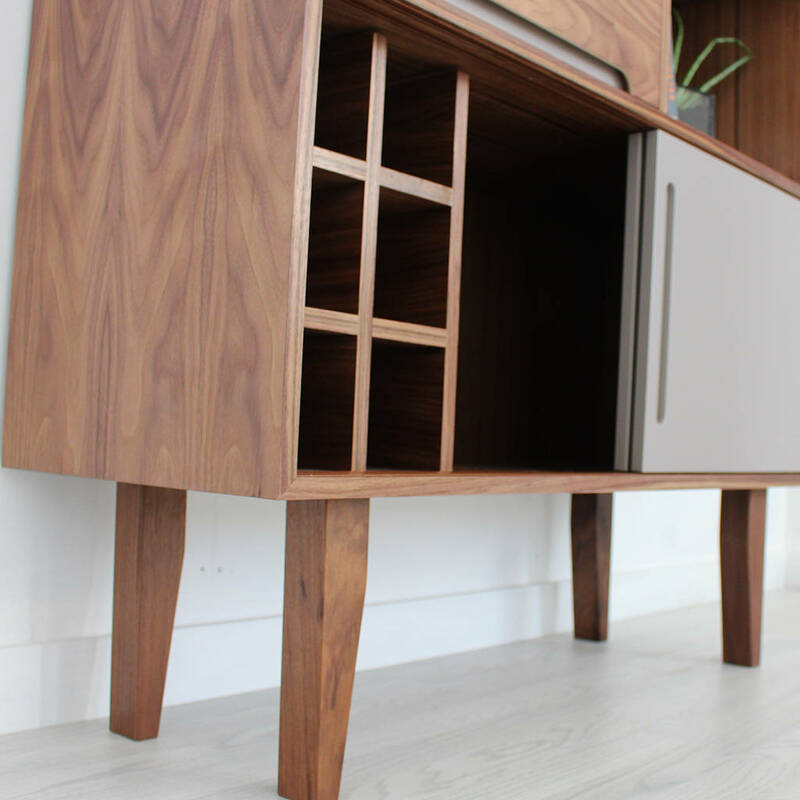 We use high quality materials such as Walnut veneer wood, AC paint, Hefele blum door hinge and door runners all designed to stand the test of time.